If you want to generate more traffic to your website every day, then getting your rank up on Google is the most efficient way. Sites with high rankings on Google get displayed on the first page when users are searching for related content. 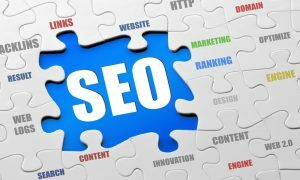 To get a higher ranking on Google, here are five simple ideas to consider before you can publish another article on your website. Google relies on keywords in articles and web content to determine which sites to recommend to internet users. Keywords are search terms that users type when looking for information on the internet. To find out which words are the best to include, use the Google Keyword Planner. It will show you the words that most people type when searching for a topic. Researching on your competitors is very important if you want to beat them. Go to Google and search for the content you want to write about and publish on your site. Analyse the pages displayed on the first page and see how you can improve your website to make it better than your competitors’ sites. Once you have understood your competitors, the quality of your content is what matters next. It needs to be unique, easy to understand, and informative to your audience. High-quality content helps you to get committed post followers. Including internal links in your content helps to direct your site visitors to other pages where they can get more information. This shows you have fantastic content. This tip is the final and perhaps the most important of the five. External links are links that direct readers to secure, trusted sites. Google relies on external links to determine how good your website page is. The links help to give credibility to your content. The above checklist will help you a great deal in improving your content, which is essential for your website’s Google ranking.